Everyone who can log in to CSU can log in to CRO and access their CRO homepage. When you log in you will open your personal homepage in CRO. Staff who are research active with recent publications in CRO will be visible in the public portal. Otherwise the profile is only visible to that person. Everyone who can log in to CRO can add publications and they will be visible in CRO. Go to the public CRO portal and display your personal profile eg Mary Anne Kennan. Copy the URL to create the hyperlink to that page. This can be done for Organisations such as Schools/Research Centres and individual publications. 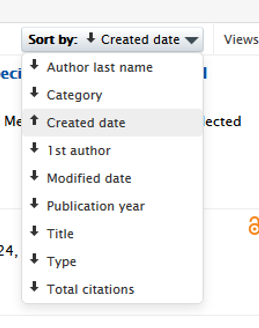 This is calculated based on the number of publications in CRO and citations from Scopus. Please note that this is not necessarily the same as h-index in Google Scholar. Author impact, i.e. h-index, will vary depending on the journals indexed by the selected source. The source of the data should be quoted when citing author impact, i.e. h-index 8 (Scopus); h-index 20 (Google Scholar). 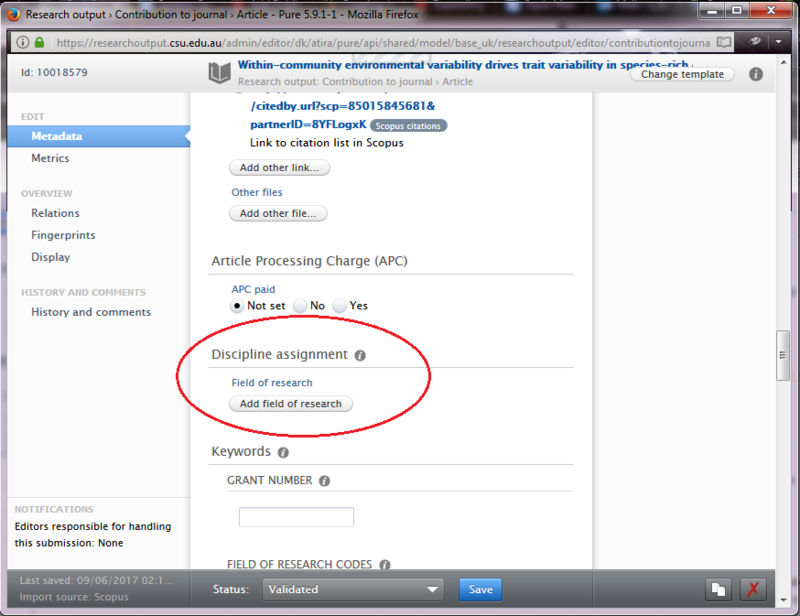 If they are added by the library via a Scopus upload they will display as soon as they are imported. If you add publications manually and save it, it will default to 'for approval' and will display on CRO after a few hours. To prevent this display select 'entry in progress'. While they are 'entry in progress' they will not be available for inclusion in ROC and won't be checked by library staff. The quickest way is to save the publications you wish to import in BiBTex format. Open your Google Scholar profile. Paste into the text box on the screen (see below). Import each record individually. Ensure the author and author affiliation and bibliographic information is correct. Display your publications in your personal home page. At the bottom of the screen select the output format and then select the style – APA, Harvard etc. You can select different options for sorting the output list. 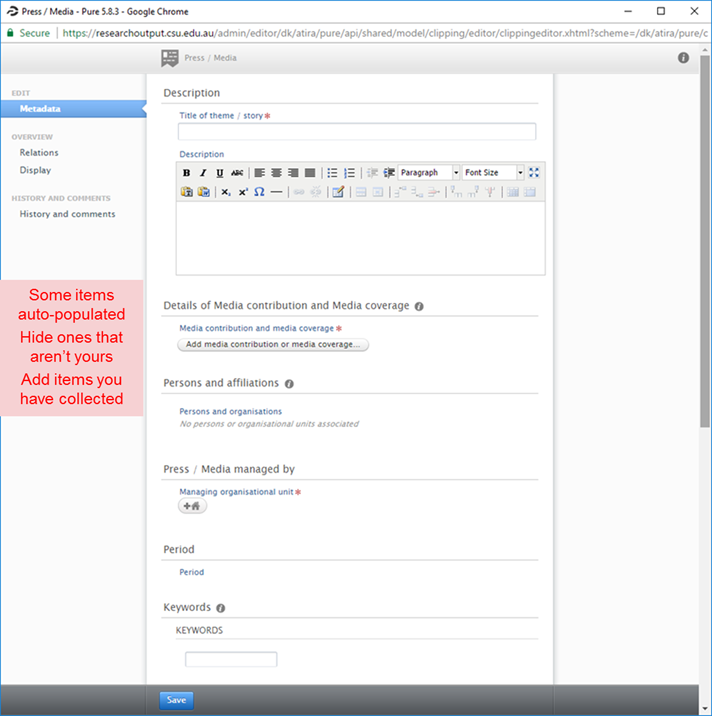 If you would like to display other publications in the system, click the x on the 'My content' filter to display all publications in CRO. This will display the whole database. You can filter or search for specific items, topics etc. Whatever is displayed will be output. Contact your Library or Research Office Liaison team for further information about this. You can only change or delete records where you are an author (or have permission from the author to work on the records). If the records have been processed by library staff they will say either Published or Approved. If you make a change and save it you will see a red 'revalidate' flag. Library staff will accept or reject your changes. When the records are displayed in the publications list. If the Status says 'for approval' you can edit as you wish. You can also delete it by clicking on the red cross. When editing the record, look at the bottom of the pop out box for information as below. ORCID (Open Researcher and Contributor ID) is a 16 digit code to uniquely identify authors and contributors on research publications. The ORCID profile allows authors to list their publications and affiliations e.g. Mary Anne Kennan. 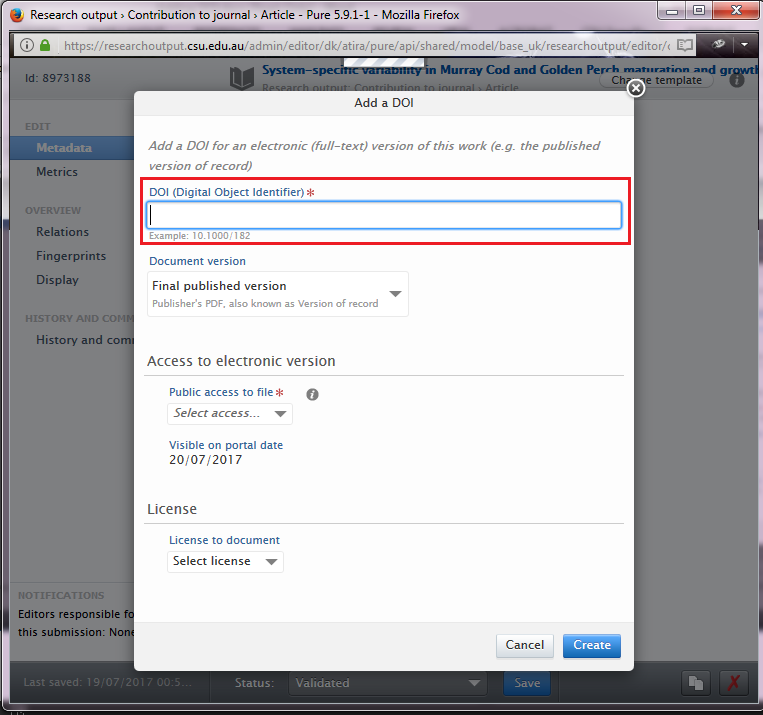 CRO allows CSU authors to create an ORCID and if they already have one, allows publication information to be 'pushed' from CRO to ORCID. 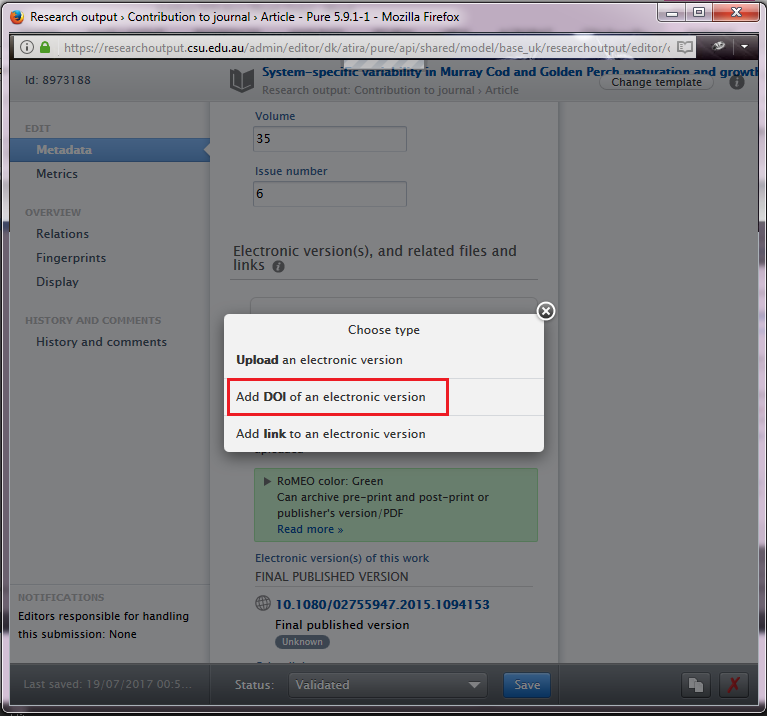 This will save adding the records to the ORCID profile manually. 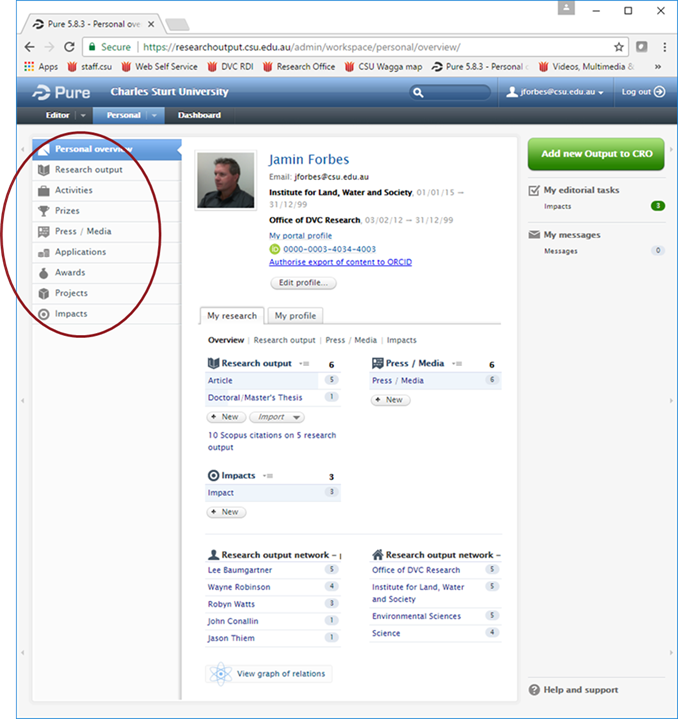 Initially this can create duplication if the profile already exists but as new records are added to CRO they automatically go across to ORCID. Further information can be found at orcid.org. 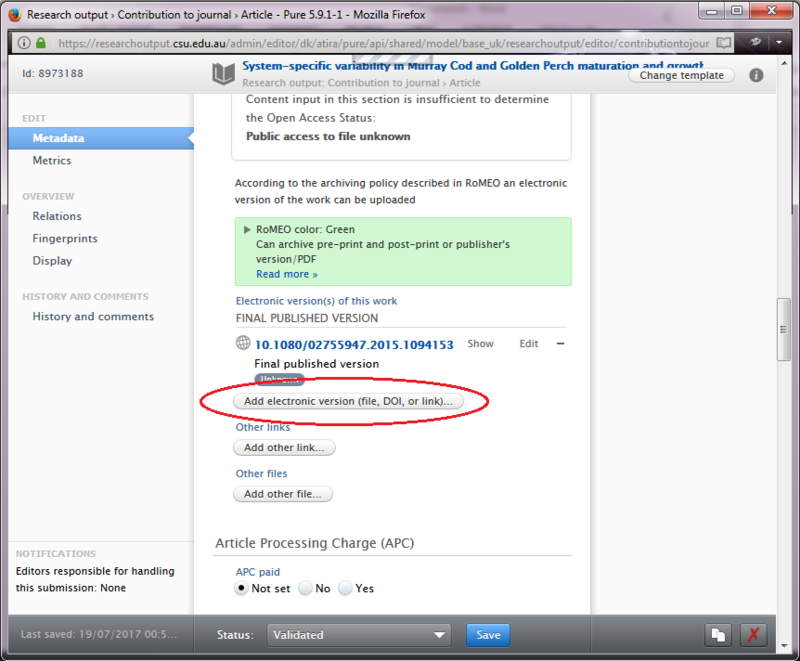 Pure, an Elsevier product is the Institutional Repository software used by CSU. If EI data are saved as 'entry in progress' they will only be visible to authors. For Activities: Select the appropriate category and populate the data fields. Save each item. For Press/Media: Populate the data fields, then save the item. For Prizes/Awards: Select a category, populate the data fields, then save. 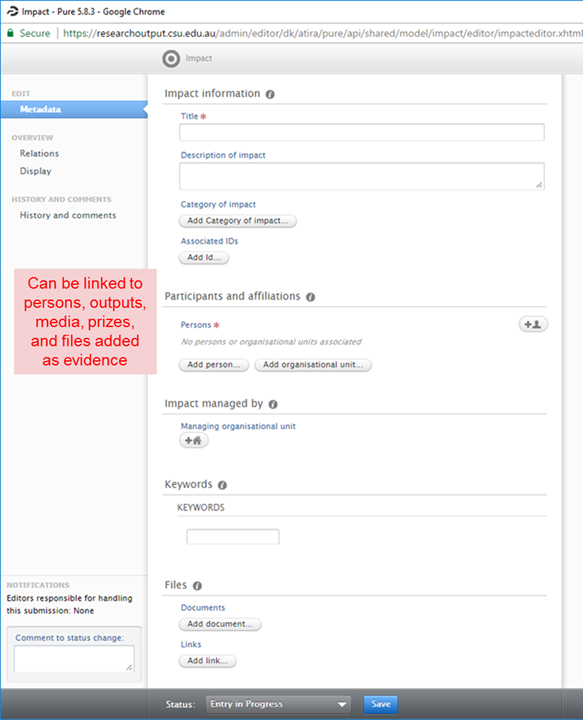 For Research Impacts: Populate the data fields, link impacts to Activities/Outputs, then save. Step 1: Login to CRO (use your current CSU login details). The apportionment(s) add up to 100.00%. Make sure you click on the blue 'save' button at the bottom of the screen to retain any changes. 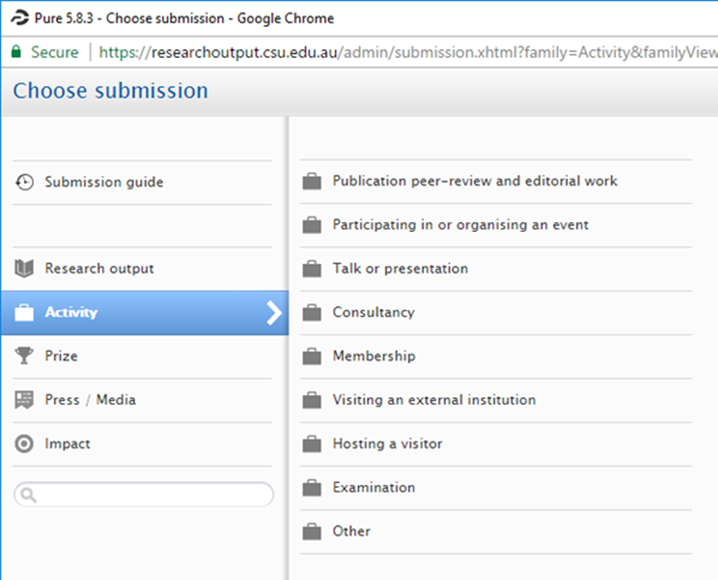 Step 4: If FoR is missing, click on 'Add field of research' button. Add up to three 6 digit FoR's and their respective apportionments. Make sure that when adding multiple apportionments, that each is a minimum of 20%, and the total adds up to 100%. Click on the blue 'save' button at the bottom of the screen to retain any changes. Yes you definitely should add FoR codes to your publications in CRO, as submissions for ERA rely on accurate and complete FOR data. The FoR code field can be found when you open the record and scroll down towards the bottom of the record. A digital object identifier (DOI) is a unique number that is assigned by the publisher to an individual publication that provides content identification and a persistent link to its location on the Internet. All DOI numbers begin with a 10, e.g. 10.1080/02755947.2015.1094153. We recommend that when DOIs are available, you include them in your CRO publications, as they are important for Plum to be able to locate artefacts related to your research. Plum collects and displays alternative and traditional research metrics in your CRO profile. Plum uses the DOI to search databases and the internet for information related to that publication. The absence of a DOI can be causitive of missing data in Plum.